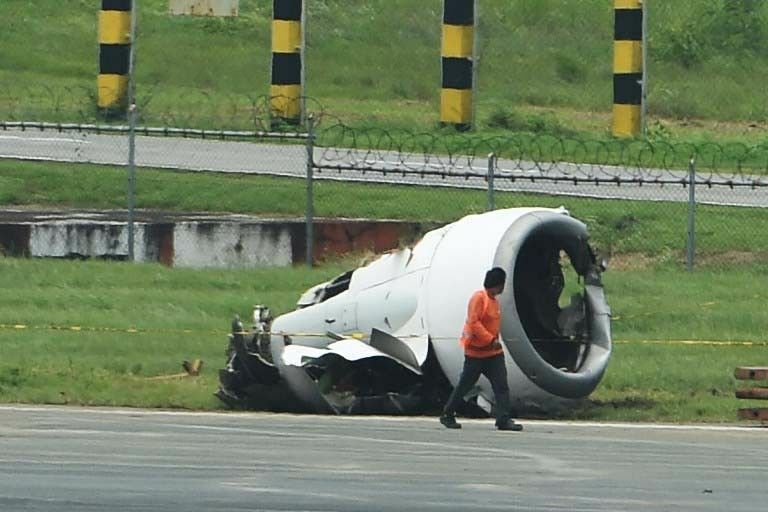 A torn-off engine pod from a XiamenAir Boeing 737-800 series passenger aircraft, operating as flight MF8667 from Xiamen to Manila, is seen after the aircraft slid off the runway while attempting to land in bad weather at the Manila international airport on August 17, 2018. A Chinese passenger jet slid off the runway as it landed at Manila airport in torrential rain, authorities said August 17, with all 165 people on board safely evacuated though a few suffered minor injuries. MANILA, Philippines — Transportation Secretary Arthur Tugade on Saturday apologized to the public after around 165 international and local flights were canceled on Friday and Saturday at the Philippine capital's main airport after a Chinese plane's bumpy landing. The Xiamen Airlines aircraft landed on its second attempt before skidding onto the grass, ripping off its left engine and blocking the runway of Ninoy Aquino International Airport late Thursday evening. The 157 passengers and eight crew aboard were able to disembark without suffering any major injuries. The plane was removed from the muddy spot where it had been stuck for more than a day, officials said, allowing normal operations to resume on Saturday. In a statement, Tugade said he was “saddened” by the mishap. “It is a regrettable experience, which is not of our own liking, nor of our own making. I am sorry. We did our very best to address the situation,” the transportation chief said. “This incident served as an eye-opener — a reminder for us to take a second look at the processes, procedures and protocols of concerned agencies, as well as airlines, so that we may all improve in the future,” he added. Moving the plane was complicated by heavy rains that softened the ground, making it difficult to install the two cranes needed to lift the aircraft, officials said. By noon on Saturday, flights had resumed their normal schedule, but some passengers were not impressed by the speed of the recovery operation. "At last," tweeted one disgruntled observer. "That's a record 36 hours."